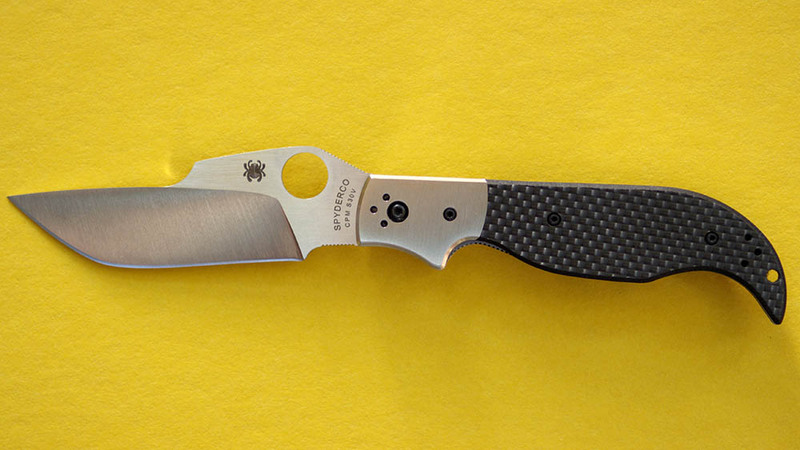 The C147 Navaja by Ed Schempp was introduced in early 2011 and is part of Spyderco's ethnic series. Some thoughts on the Navaja  by Ed Schempp. Unique to the Navaja is the Carraca or ratcheting sound it produces when the blade opens and closes. Carraca ratcheting generates a reaction similar to the sound of chambering a round in a firearm, distinctively announcing the knife’s presence and has been attributed to deterring a criminal or criminal behavior. American Knifemaker Ed Schempp built a reputation on comingling Ethnic cutlery with the modern folder. His Spyderco Navaja collaboration incorporates the mystique of the Carraca with a traditional-shaped handle made with textured carbon fiber and stainless steel bolsters. The blade is Crucible Steel CPM-S30V with the customary Navaja concave blade shape. Spyderco Designer's Insight Series video interview with Ed Schempp on the design of the Navaja. This page was last modified on 26 November 2014, at 22:18.